British Talent Cup racer Rory Skinner will be back on board the Bennetts Tokheim Kirkcaldy Kawasaki ZX-6R in a busy September. Following on from a very successful Scottish Formula 600 meeting at Knockhill, he will be competing at the Silverstone and Oulton Park rounds of the Pirelli National Superstock 600 championship. The 16-year-old Scottish rider made his debut in the Superstock 600 class with a wild-card appearance at Knockhill in July, where he missed out on the win by less than one hundredth of a second, and has decided to enter the two back-to-back rounds in September, before resuming his British Talent Cup duties in Assen on the weekend of 29-30 September. Last weekend saw Rory back at Knockhill for the Scottish championships, before travelling to Silverstone for the Pirelli National Superstock 600 meeting, on the weekend of 7-9 September, and Cheshire’s Oulton Park the following weekend. Both Superstock races, as well as the Assen British Talent Cup round, take place alongside the Bennetts British Superbike Championship. The weekend before last saw Rory gain the distinction of being the only rider to win a race at the 2018 British Motorcycle Grand Prix. 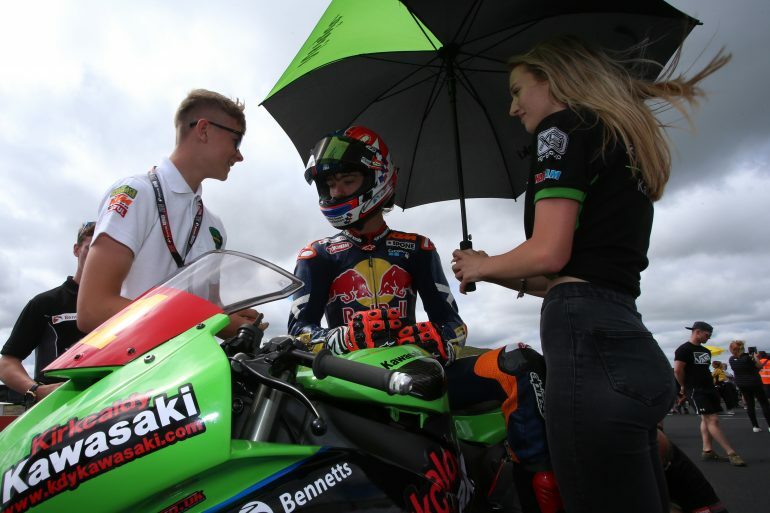 The Perth based rider won the British Talent Cup race at Silverstone on Saturday afternoon, moving him to within four points of the championship lead, but rain saw the cancellation of Sunday’s activity, including a second scheduled race in the Talent Cup.